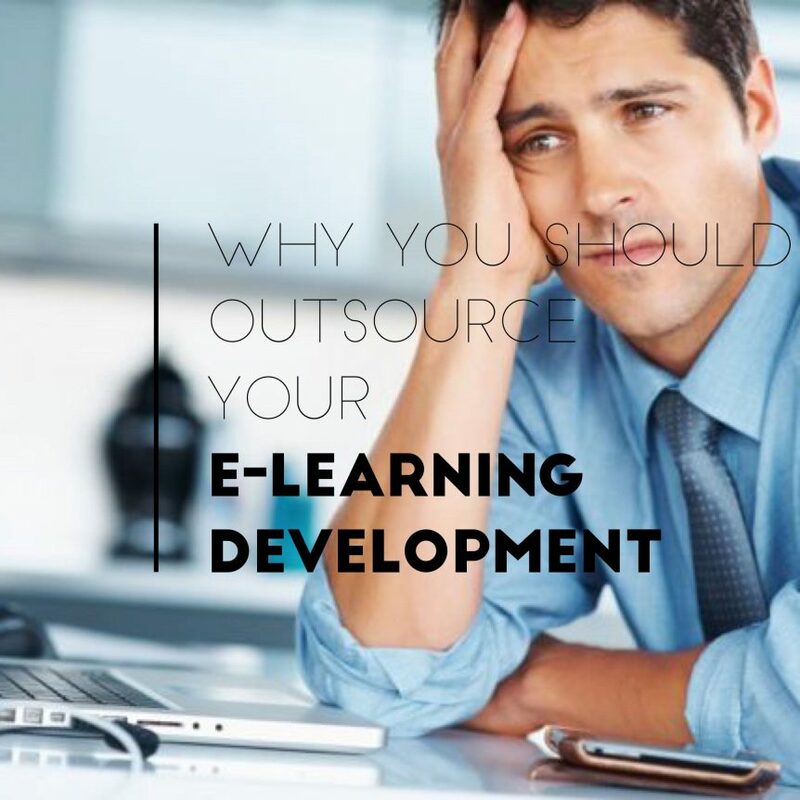 Should you outsource e-learning development? Maybe you have training staff or IT staff in-house – wouldn’t it be easier and cheaper to get them to do it? The problem with the in-house approach is the range of skills that is required to deliver good e-learning. Of course, if you give anyone with some IT skills enough time and the right software, they will probably come up with something. Will it look professional, though, and will it be an effective e-learning tool? Knowledge of e-learning best practices. Not many organizations have those skills in-house. That means you have to train your existing team (which takes time and costs money) or recruit (which takes time and costs money). For example, your training team would need to learn the technical aspects of e-learning development. If on the other hand, you allocate the task to IT staff, they would need to learn how to effectively deliver training. Even if you have both training and IT staff working on the project, neither are likely to have the necessary design skills. As a result, outsourcing e-learning development is actually more cost-effective than doing it in-house. In addition, you will end up with better e-learning courses that utilize the latest training techniques. They will also be technically sound and will look attractive and professional. Strategic outsourcing in your business delivers a range of benefits. This includes controlling capital costs and reducing risk. In addition to these general outsourcing benefits, there are a number of specific benefits to outsourcing e-learning development. Specialist expertise – outsourcing gives your organization access to individuals who are skilled and experienced in all areas of creating effective e-learning. Saves time – when you keep e-learning development in-house, there is a learning curve for your team. Even though they are usually just covering the basics, this takes time. Your courses will be completed quicker when you outsource. Better allocation of resources – outsourcing frees your team up to focus on their core roles to help you achieve your business objectives. Brings more innovation – like most industries in the technology sector, the e-learning industry is constantly advancing. Specialist e-learning providers are at the forefront of this innovation, so your courses will always feature the latest training, technical, and design techniques and ideas. Less management time required – developing in-house means you have to deal with things like meeting deadlines, training issues, and staffing issues such as vacations. You have none of this when you outsource. Access to experience – when you outsource, your e-learning courses will be developed by people who have experience and know what works and what doesn’t. Easier to scale – it is easier to scale up (or down) your e-learning development to meet the needs of your business when you outsource. There are some downsides to outsourcing, however, particularly when you outsource to a company with little experience. This can result in missed deadlines and poor quality course content. There are ways to avoid this pitfall, though. The company you outsource to doesn’t need specific knowledge of the content in your course – it would not be possible for a provider to have that level of detailed knowledge in every industry. They must, however, have extensive experience in providing e-learning solutions as well as solid backgrounds in training and IT. Take Capytech as an example – we have the IT and training skills in addition to a team of designers, plus we have extensive experience delivering e-learning solutions for organizations in a range of industries. When done right, outsourcing e-learning development is the best solution. The course created will properly represent your organization and it will be a highly effective training tool.